It was her birthday and guess what she wanted? Yes, that is what our daughter — a GNOWFGLINS girl through and through — really requested! We couldn't turn it down! 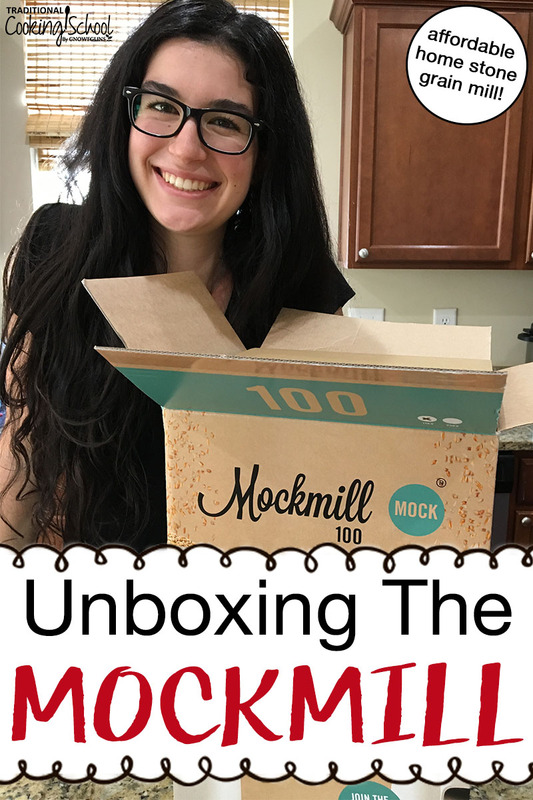 Unboxing The Mockmill: Our Favorite Affordable Home Stone Grain Mill! In the video, we also show you how to (easily) prepare it for use by removing the transport locking clips. And… we did a quick milling of one of our favorite kitchen ingredients. Nope, because the Mockmill does so much more than flour and we wanted you to see that, too! 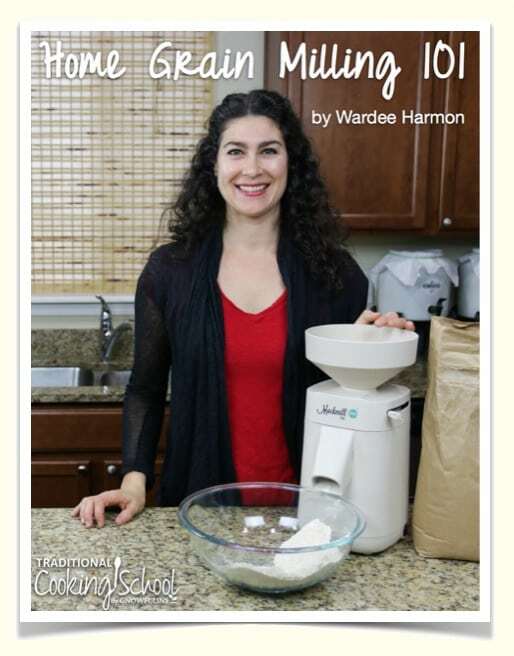 I recently shared a Home Grain Milling 101 series. Want the whole thing compiled together into a FREE “Home Grain Milling 101” PDF eBook? Click here to download the “Home Grain Milling 101” eBook for FREE! Want To Learn More About Our Favorite Mill, The Mockmill? I did a series of tutorials on home grain milling and you can find the Home Grain Milling 101 series right here. I did videos and print transcripts — choose the format you prefer. When you're ready for a home grain mill, I hope you'll consider the Mockmill. It's not only affordable, it produces the finest healthiest flours, even gluten-free, and it can crack foods, too (like cracked grains or spices). To learn more about Mockmill, and to get $128 in bonuses from me, click this link. Do you have a Mockmill or other home grain mill? Please share in the comments!